Works: What does that mean? From Sensory Lab to My Mexican Cousin, what are you working on at the moment? The opening of St Ali North, our new roasting plant and digivore – a little it/social media thingy. 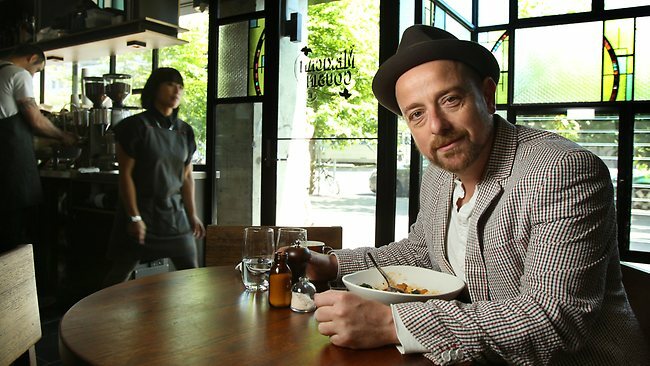 ST ALi is often seen as a hospitality pioneer for its adoption of social media, especially being one of the first users of Foursquare – how important is technology now in business? Critical!!! I feel like I know my customers intimately and communicate to the as I would friends. I love it. You sometimes act as an angel investor around town – what business opportunities do you look for? You studied Arts/Law at Melbourne – what impact did you education have on your success to date, if any? Peeps think I am smart because I have a law degree. Not true! I am smart full stop lol. It’s been great for negotiations and understanding machinations of contracts. You’re a positioning machine who really understand trends – how do you make your decisions about direction? You’ve mastered the art of the personal brand, how does this help your greater brand portfolio? It is not intentional Salvatore Inc is just an extension of my life. I have always shared it with friends and now with anyone who cares to follow. Its been great for business. People know me before I meet them. So the haters don’t meet me and the lovers do! It’s like a friend filter or maybe for those who date online (I don’t) a RSVP filter. No less than five. It keeps you alert and its way cheaper than Colombian love wink, wink. Mmm… the philosophical underpinnings are generally sound. Fringe. Challenging etc but too often they tend to be cartoon charactures of themselves. And that makes them funny and harmless. True hipsters – as in trend setters – 100% respect NYC. Selling Four N’ Twenty pies at the MCG as a 10 year old. What’s your favourite Melbourne neighbourhood/locality? Wow! hard choice. I live in three because of my special circumstance (long story) – Elwood, Toorak and Collingwood and all three offer very different cool things. Beach. The Tan. Culture in that order. What’s next and when do you stop? I stop when I die. Will sleep a log time then. What’s next is a secret – in keeping with the brand.